Like the novel, the film is narrated by a third person character; author Geoffrey Wolfe (Herbert Marshall) who seems to be a fictional stand-in for Maugham. 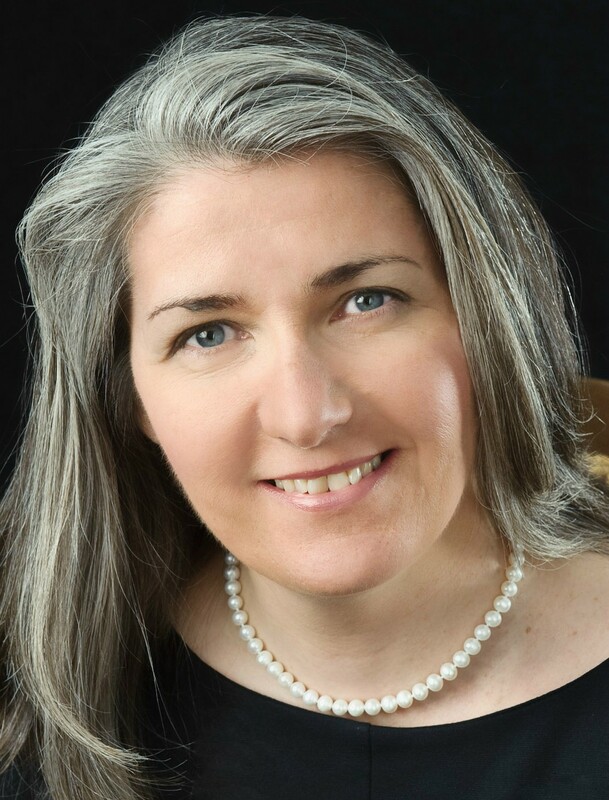 Four years later Marshall would literary portray Maugham in “The Razor’s Edge.” Wolfe follows Strickland through his life as he runs off to Paris, living the life of an artist in search of the elusive truth. He refuses to sell any of his works, searches for no praise and does not seek desire to prove anything to anyone. He is an artist purely for art sake. At the end of the film, after his death, based on his request his wife destroys his work. At one point when Strickland becomes ill, another less talented artist, Dirk Stroeve (Steven Geray), and his wife Blanche (Doris Dudley) take him in bringing him back to health, Strickland repays his artist/friend Dirk by stealing his wife. 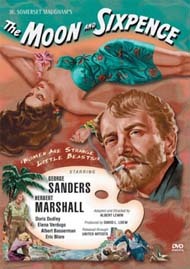 Later when he decides to go off to find himself in the South Seas (Tahiti) and no longer having any use for Blanche, he indifferently dumps her despite her promises she will kill herself. He leaves, she dies, he shows no remorse. In Tahiti, Strickland does find someone he cares for, a pretty native, Ata (Elena Verdugo) who he marries and who loves him dearly. He also paints at a voracious speed however, within a few years Strickland dies a hideous death with leprosy. 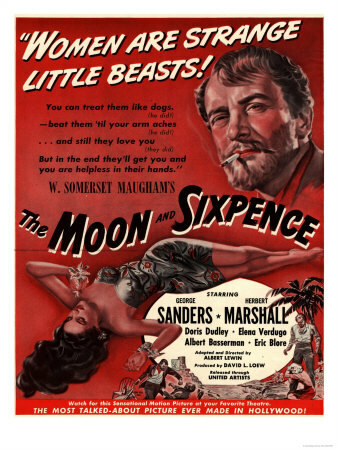 “The Moon and Sixpence” is the portrait of the artist as a cad and who better epitomizes the cad persona than George Sanders who made a career of being unscrupulous and uncaring. In “All About Eve”, he was Allison DeWitt, the cynical scathing theatre critic and in Hitchcock’s “Rebecca” he was the immoral Jack Favel. As the callous Charles Strickland he utters the lines “the more you beat women, the more they love you for it.” A line that easily displays the unsympathetic contemptible smug outlook he had for life and especially women. (Sanders found himself in the center of a storm when women’s groups protested his verbiage. As he stated, defending himself, in his 1960 autobiography, “Memoirs of a Cad”, these were Maugham’s words he was saying, not his own). Maugham’s novel is a surface only fictional recreation of the life of Paul Gauguin. Don’t look for a fictional Van Gogh, who Gauguin spent some two months painting with in Arles. And since Strickland had to die a hideous death to pay for his contemptible life he was blessed with leprosy where as Gauguin died from syphilis. The film moves at a slow pace, laden with too much narration, not only does the author Wolfe narrate but later in the film two other characters as well. Also, there seems to be too many unnecessary scenes with secondary characters that could have been eliminated. While the aforementioned Sanders does well, Herbert Marshall as the writer Wolfe is rather stiff and looks uncomfortable for the majority of the film. Director Albert Lewin makes an interesting if not totally successful use of film by shooting most of it in black and white, separating the Tahitian scenes from the Paris scenes by giving a reddish tint to the Tahitian segment and for the final scene displaying Strickland’s masterpiece mural, in full color (Lewin would use this technique again in his 1945 film, “The Picture of Dorian Gray”). Lewin was wise not to show us Strickland’s paintings throughout the film (except for the final color sequence) which leaves the audience to depend on the words and judgment of the other characters. Subsequently, we are not forced to look at poor substitutes and think they are masterpieces. The VCI DVD contains two versions of the film, the original theatrical release in B&W/Color and a full black and white version. 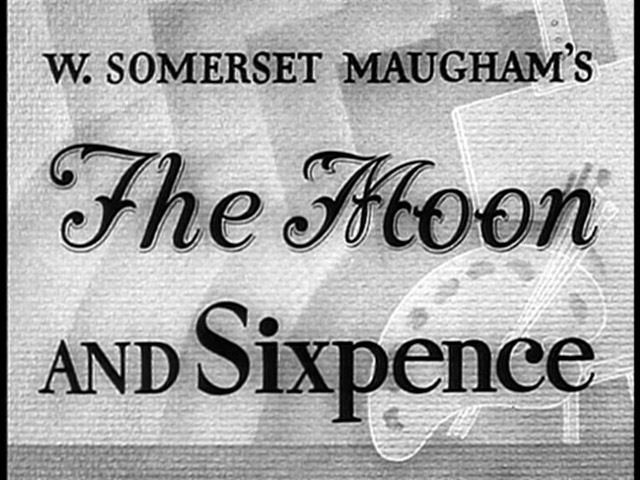 This entry was posted in 1940's, Film Reviews and tagged Albert Lewin, George Sanders, Herbert Marshall, The Moon and Sixpence. I’ve never seen this film but I happen to enjoy Lewin’s The Picture Of Dorian Grey. It seems to be one of those films that noone ever talks about. I was wondering what you thought about it’s overall merits. The few reviews I did read criticize Hurd Hatfield for being too wooden. I found his zombielike performance to work in playing such a narcissistic empty character. I also found much to appreciate in George Sanders role. It has been a while since I saw “Dorian” but I remember liking it. Hatfield seemed not to be the right actor for the role but overall I thought the film was decent. Both “Dorian” and “Sixpence” are films that do not seem to get discussed much. 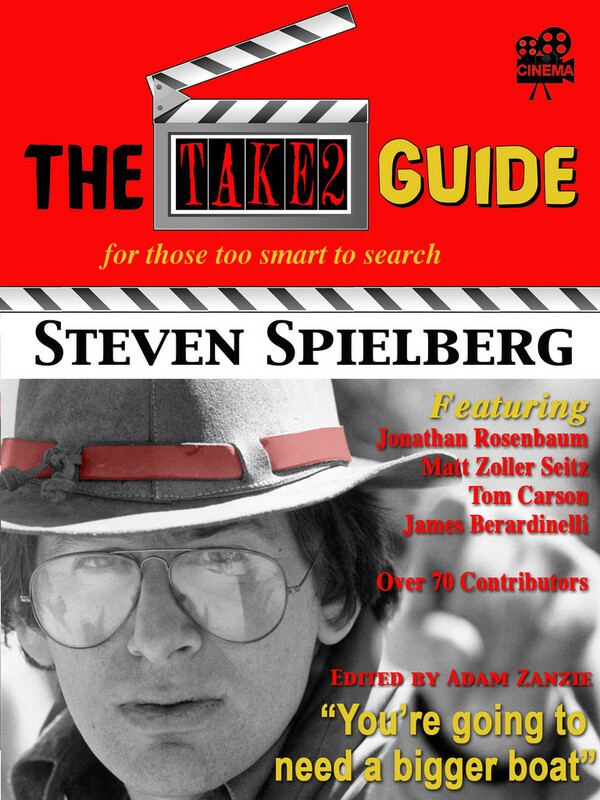 Afraid I can’t add much because I haven’t seen the film and know very little about it, but this is a splendid write-up, John, that I really enjoyed reading. As M.Roca points out, The Picture of Dorian Grey is a very good film as well, which shows that Lewin was a skilled director. Sounds like this one falls short of that level, but is still worth checking out if given the chance. and having read the book many years ago and additionally having a fascination with the work and lives of Gauguin, Van Gogh, Cezanne and others this film was one I could not pass up. Thanks Dave for the kind words. Like the esteemed Dave Hicks and M. Roca I also have a soft spot for DORIEN GREY, but sadly like both I have not yet seen this debut film from Albert Lewin. In addition to these two of course, he helmed PANDORA AND THE FLYING DUTCHMAN, which showcased color cinematography from Jack Cardiff, one of the greatest of all in his field. I too reject that summary criticism that is posed above by Mr. Roca, and also found much to love in Sanders’s performance. Wow, I must say the historical revelations in the review here are fascinating, and make this rather a must-see. I never realized that Lewin used that same color/black and white technique before DORIEN GRAY. “Pandora and the Flying Dutchman” is one I still have to catch up on and with Cardiff, yes one of the greats, makes this a must see. Sanders is very good here also. No one is better at playing a self centered cad than Sanders. I do have a fondness for films about artists (Lust of Life, Huston’s Moulin Rouge, etc.) so this one fits right in. Mejor leer la novela. Para mí gusto, Albert Lewin es muy insatisfactorio como adaptador.